our native languages by studying grammar. Rather, “Grammar rules are what fluent speakers use to describe what they already know.” I would even suggest we not talk about “rules” which govern language, but rather patterns which describe language as it is used. 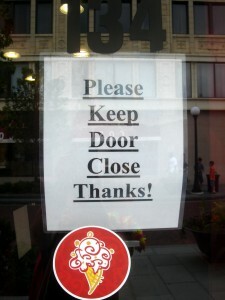 Of course, the structure of language is certainly important. However, the immediate and pressing question is: “What is the best way to internalize the structure of a language?” Again, I’m not a professional linguist, and I don’t intend to go into any depth of linguistic theory or even grammatical description. Rather, I’d like to suggest a few strategies to easily and naturally learn the structural patterns of your new language. Focus on dialogue, simple conversations about everyday matters. Look for opportunities to converse, listen to conversations, watch television, or read daily papers (which are written at a basic level). It’s been suggested that much of what we say comes in the form of standard phrases or chunks of just a few words. Phrasebooks are a great way to pick up some very useful chunks which, with the addition of a basic vocabulary, can be used to form a great number of sentences. 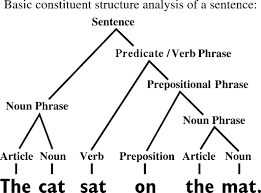 There are a few predictable ways that language structure is expressed, such as: the order of words in a sentence, changes in the shape of individual words, and the addition of helping words. Tim Ferris suggests the following exercise based on a list of eight simple sentences in your native language. Notice how verb forms change according to the gender and number of the speaker(s). Notice the fundamental sentence structure: is it subject-verb-object (SVO) or subject-object-verb (SOV)? Do the forms of nouns and articles (a, an, the) change according how the word is being used in the sentence (subject, object, indirect object, or possessive forms)? In the last two sentences, are helping verbs used or does the ending of the verb change? To again cite Donovan Nagel, “The primary reason why we actually learn the grammar of our own language in school is to enhance our literacy skills (reading and writing) – not to make us better speakers.” It follows that the best time to begin formal study of grammar and syntax is at the stage when we focus on formulating written communication in our new language. Until then, go ahead and speak, make mistakes, and correct them as your ear for the language gradually improves. Please share your questions and comments below. I look forward to the dialogue. And if you found something helpful, please use the share buttons too! Thank you for an insightful post that was well researched, easy to read and understand. I totally agree with you that successful language learning requires you to have some basic (better if it well founded in your own language) knowledge of the grammar structures that form most languages. That way you will be able to place new rules around the ones you already know. Do you propose to tackle the younger language learners who are not yet aware of this or who have not been taught grammar in this way? I am speaking from the perspective of the education system in England where too many secondary school students (ages 11-18) still do not have the basic working knowledge of sentence structure (MFL learning is also very poor in a majority of schools). Thank you for your encouraging words. I’ll have to do some research before I can really address the state of modern foreign language learning in United States secondary schools.